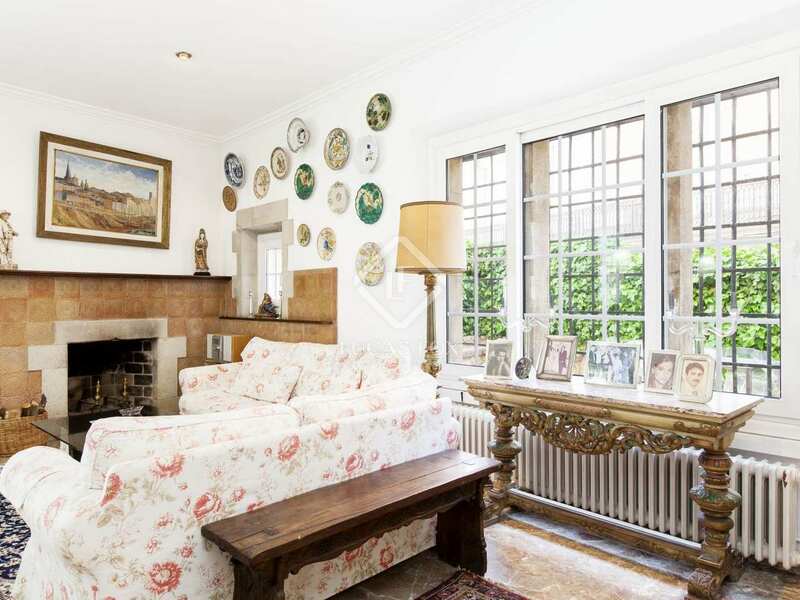 Built in 1929, this period property with its decorative stone façade and Gothic pillars in the windows has enormous potential for remodelling the layout as there are no load bearing walls. 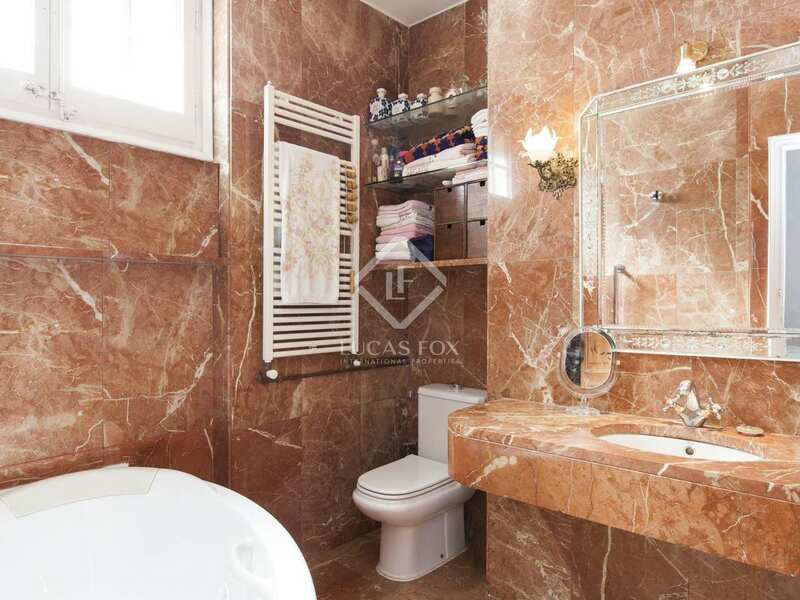 It currently offers 4 bedrooms, 3 of which are en suites and there is a utility room which could easily be converted into a bathroom if necessary. There is also a loft space with potential for conversion. 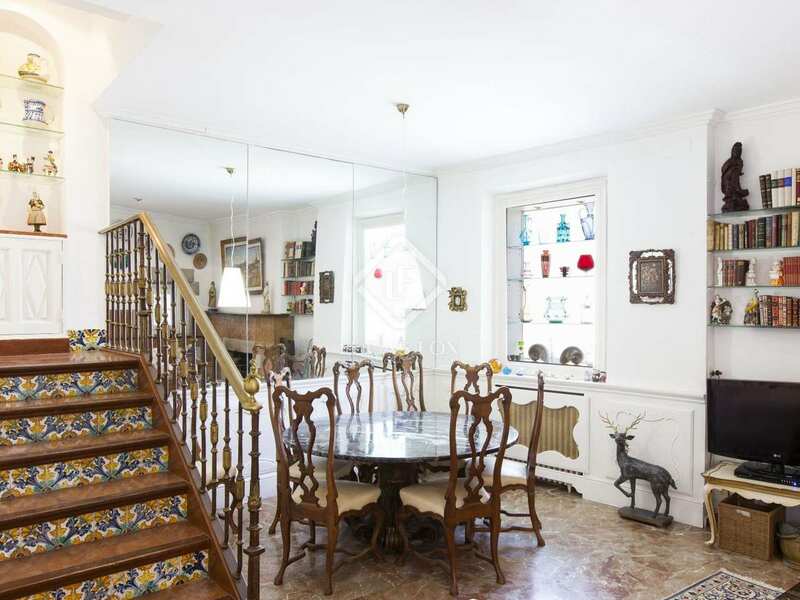 The kitchen and living room – dining room are found on the ground floor, along with a bathroom. 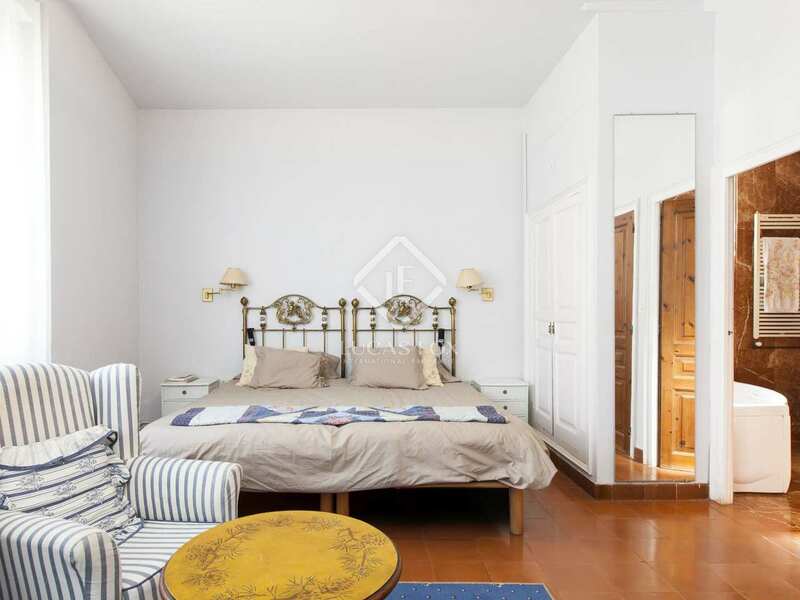 There are 2 en-suite bedrooms (one with a fireplace) on the first floor, a further en-suite bedroom with sea views and the fourth double bedroom with a fireplace on the second floor. 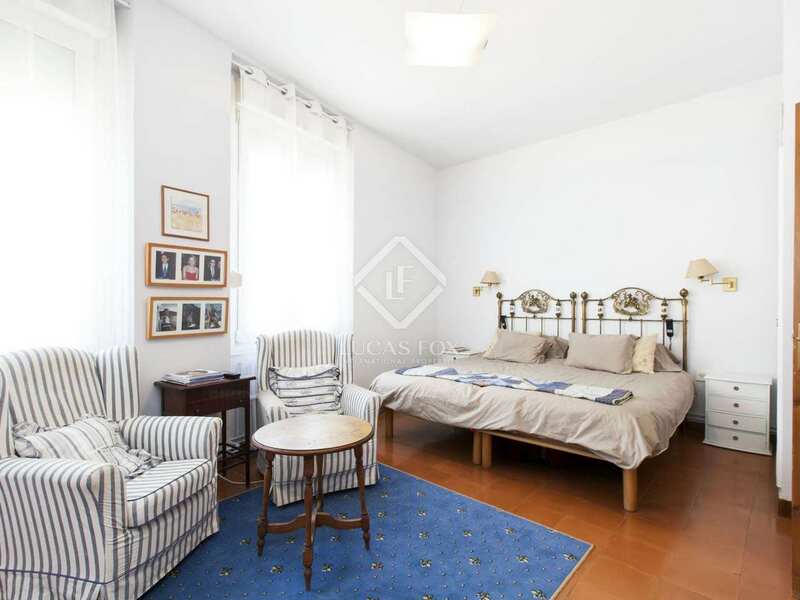 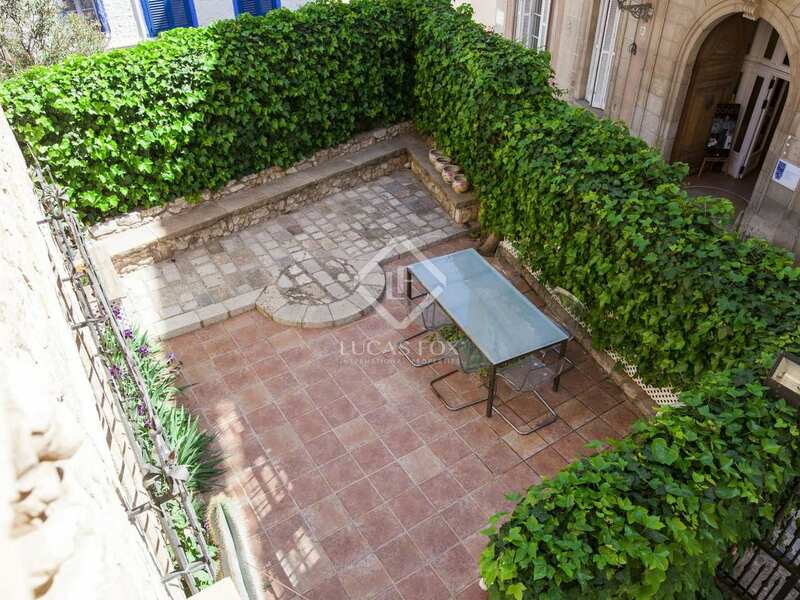 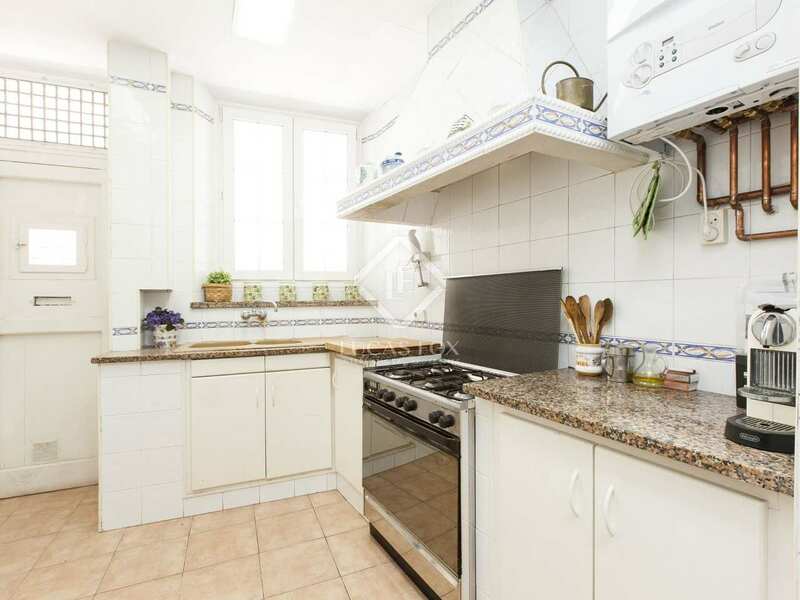 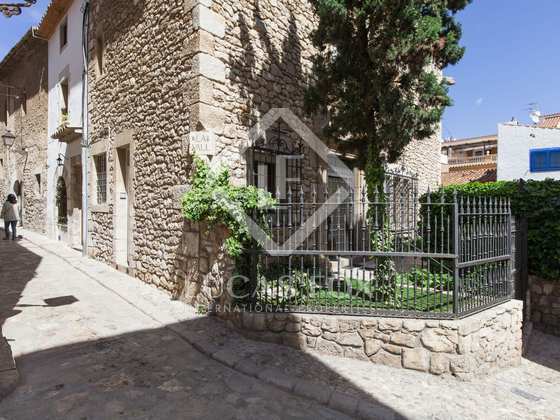 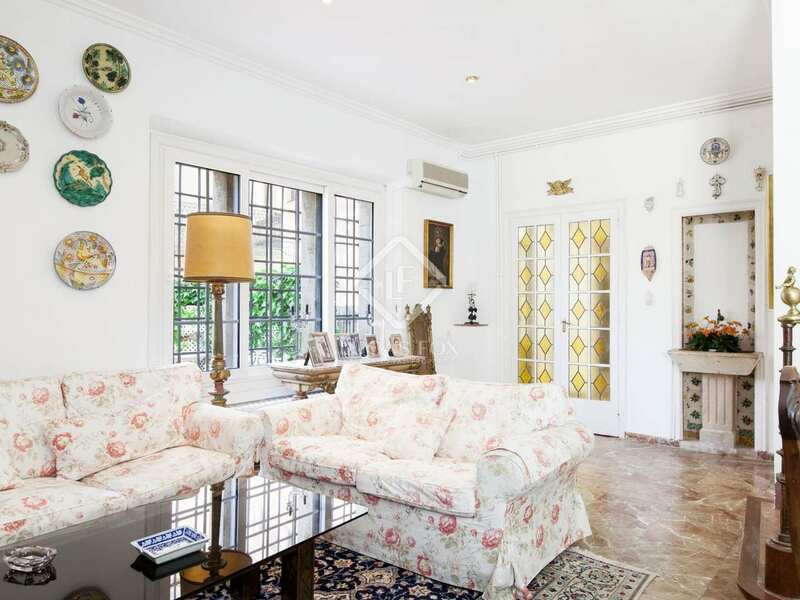 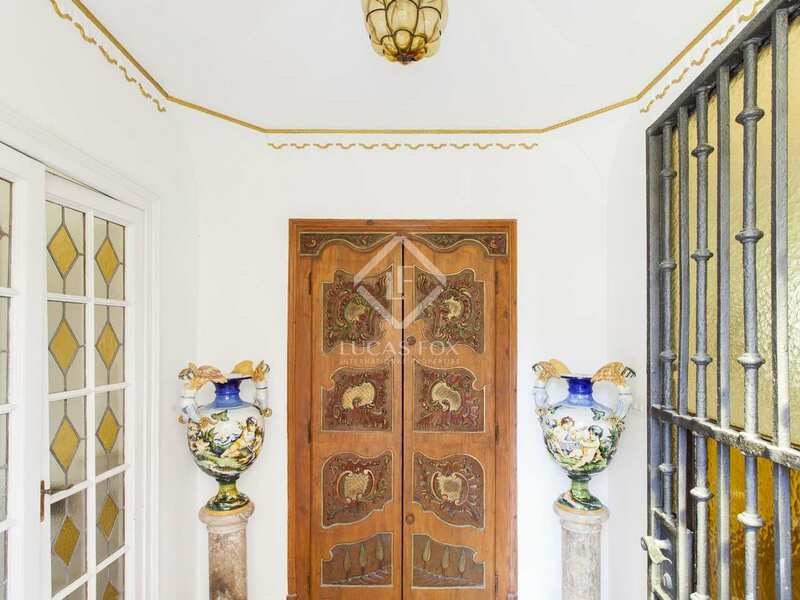 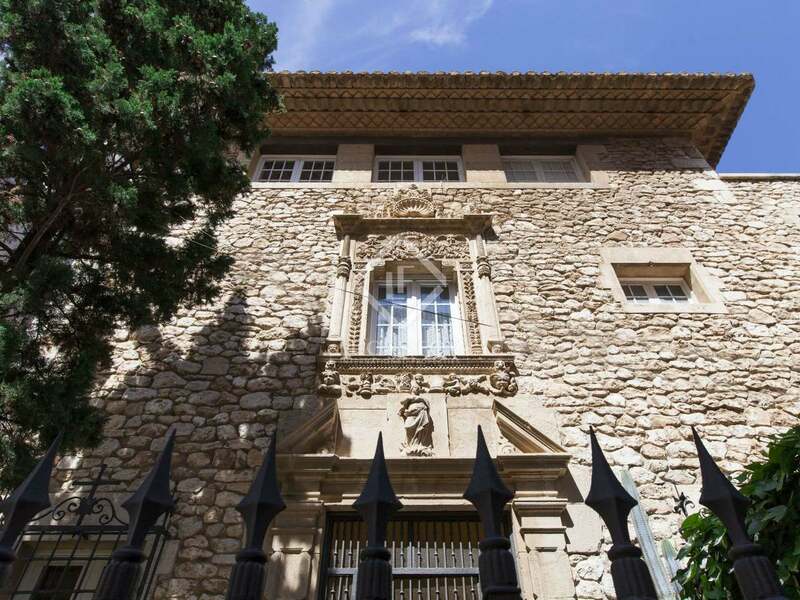 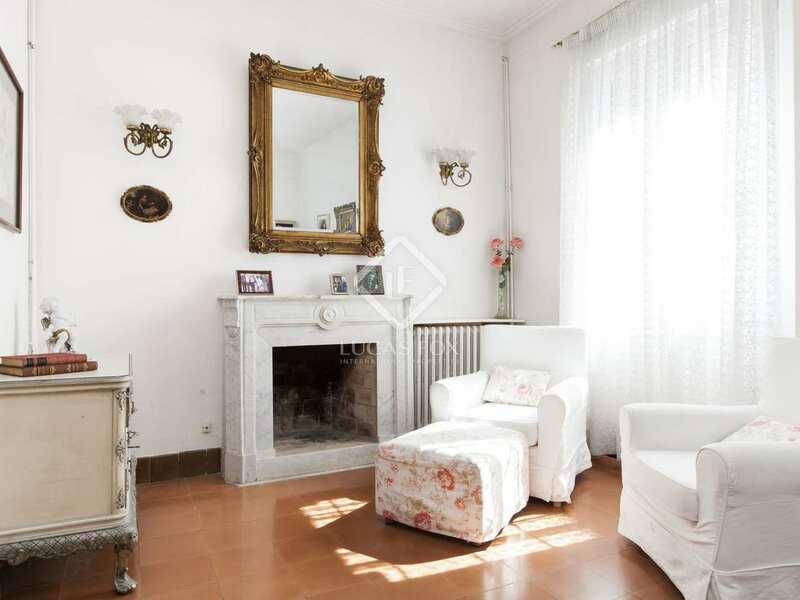 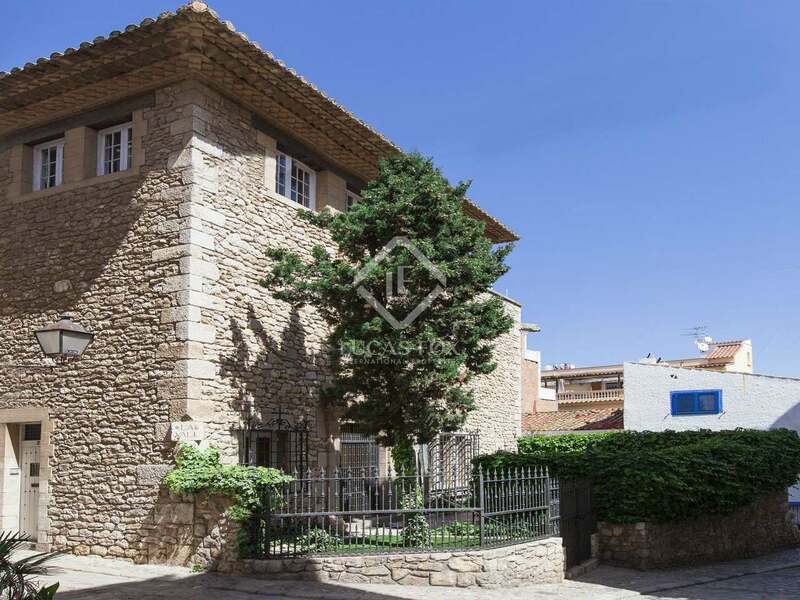 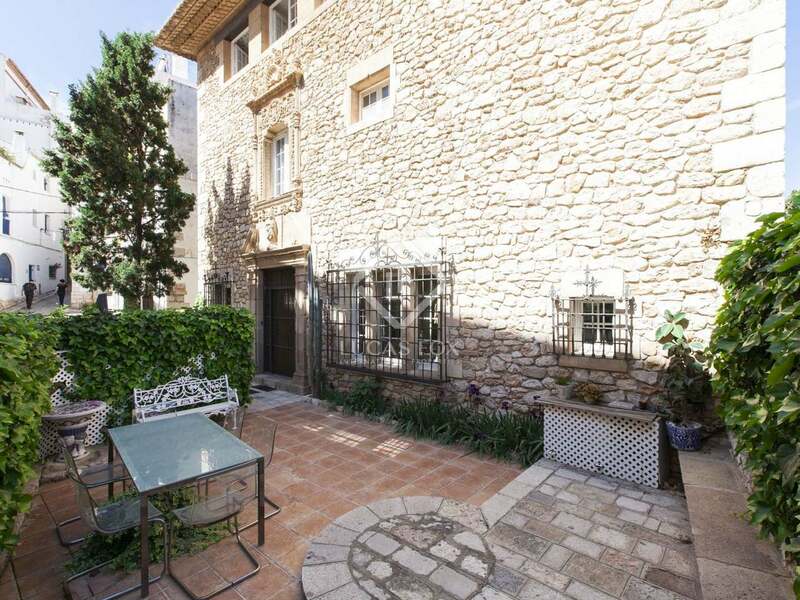 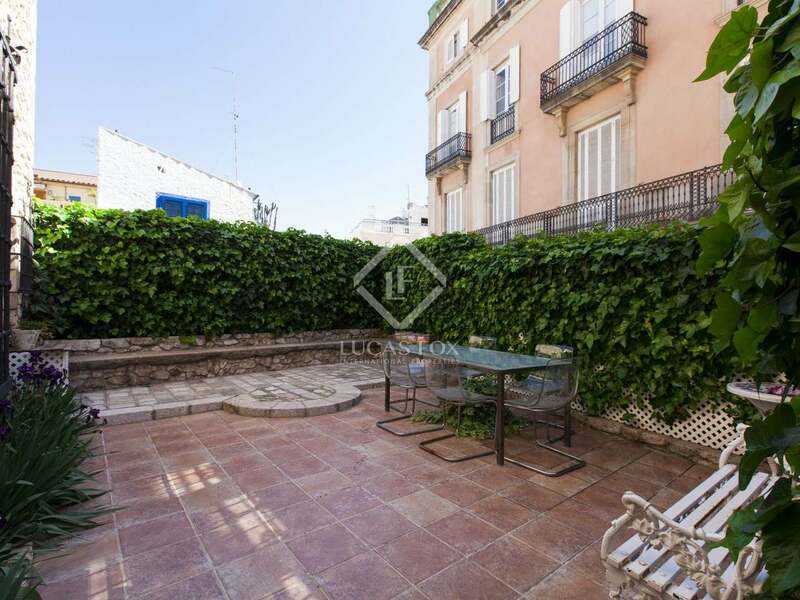 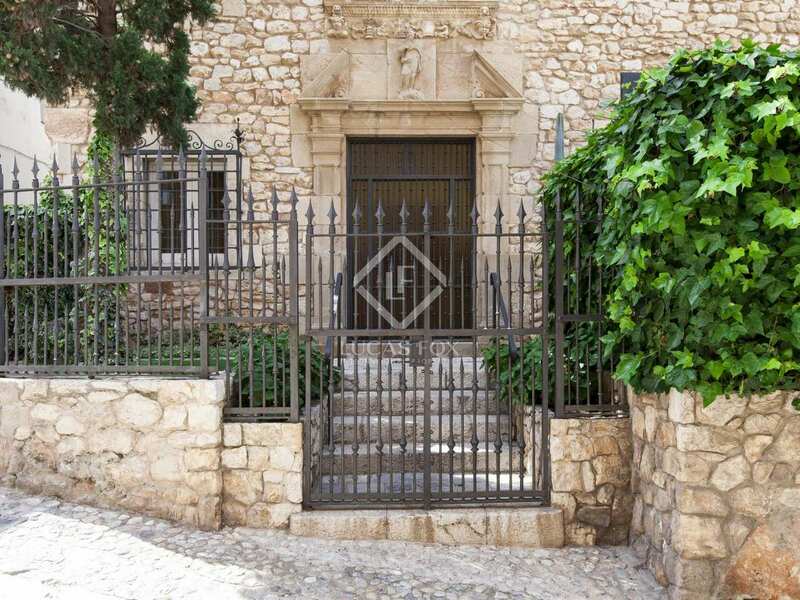 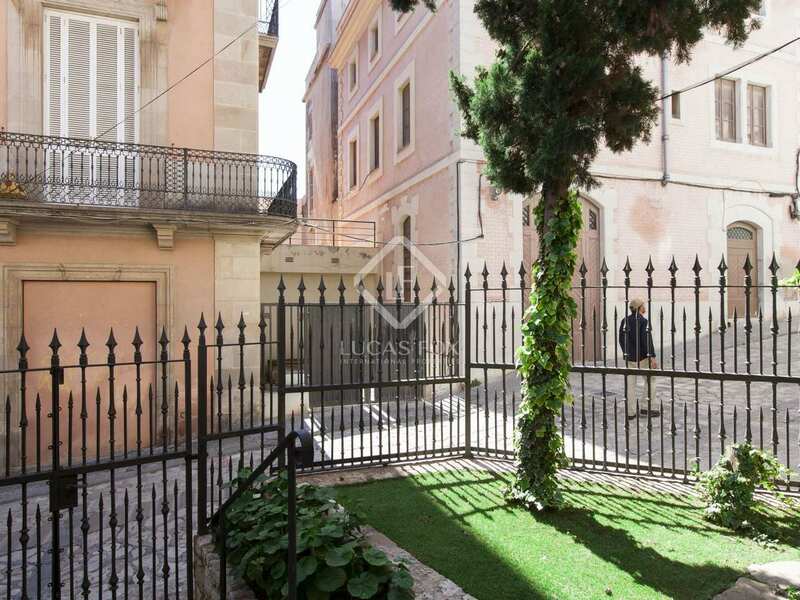 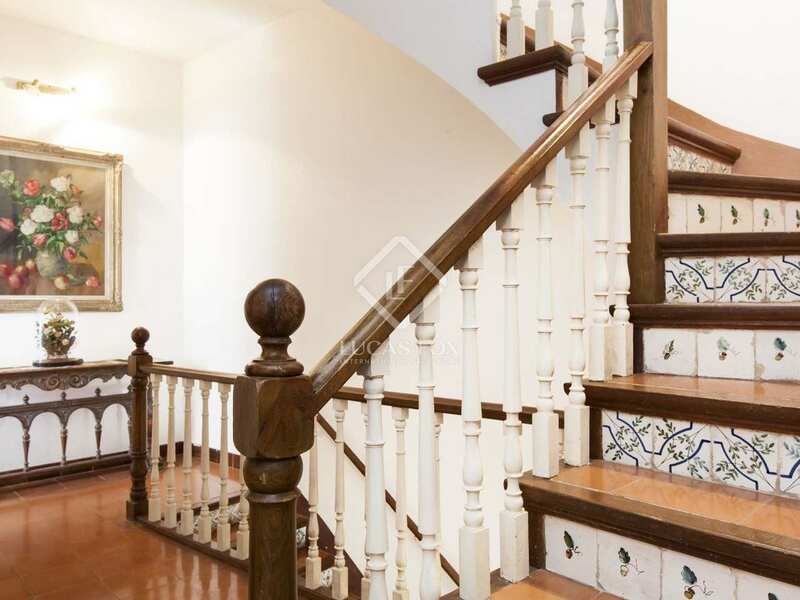 The property offers a small front garden at the entrance with wrought iron railings. 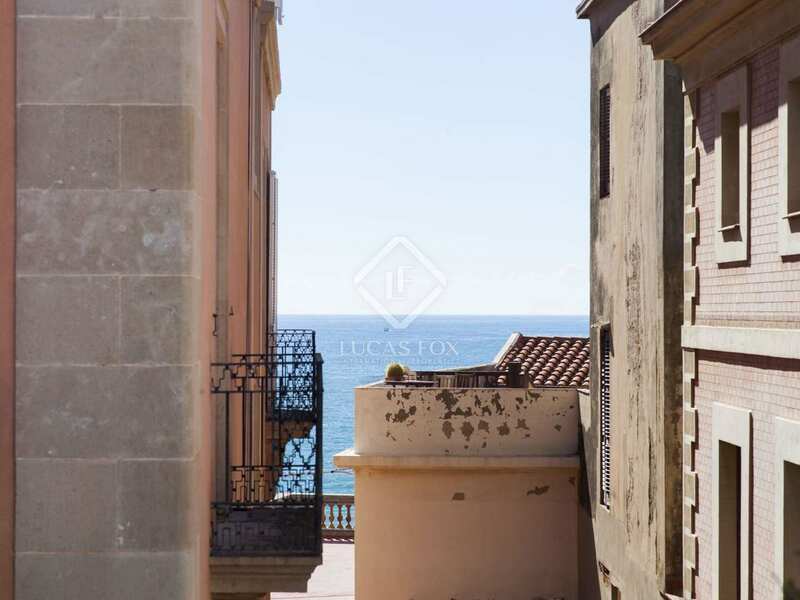 There are views of the sea from upstairs and the terrace and of the old period buildings in this emblematic part of town from the rest of the property. 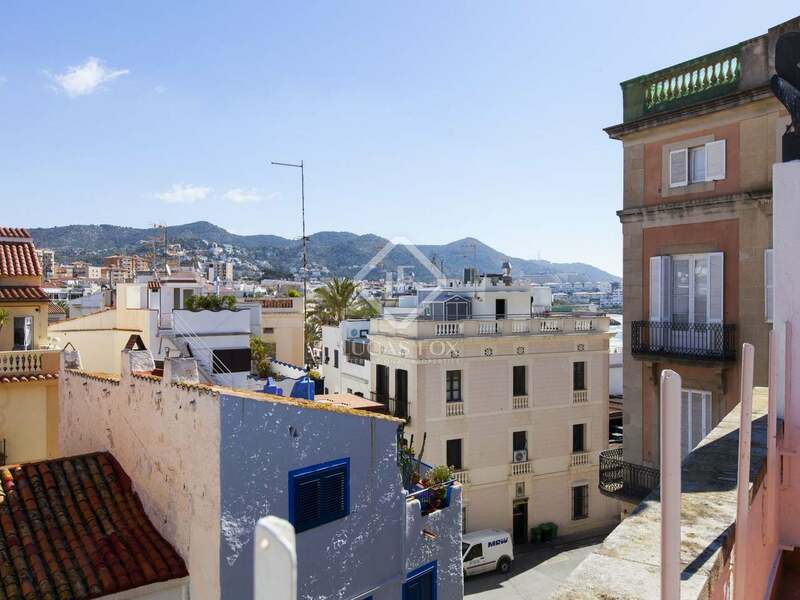 This property enjoys a wonderful location in the old centre next to the church and museums with their pretty cobbled streets and just a couple of metres from the beach. 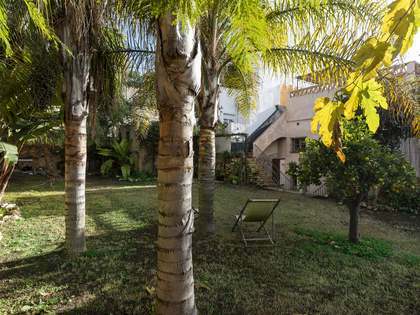 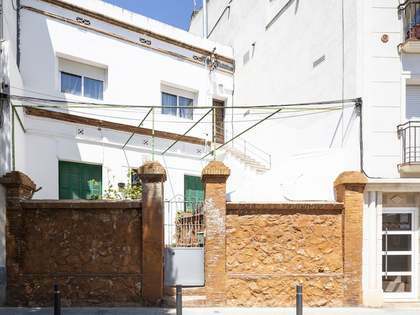 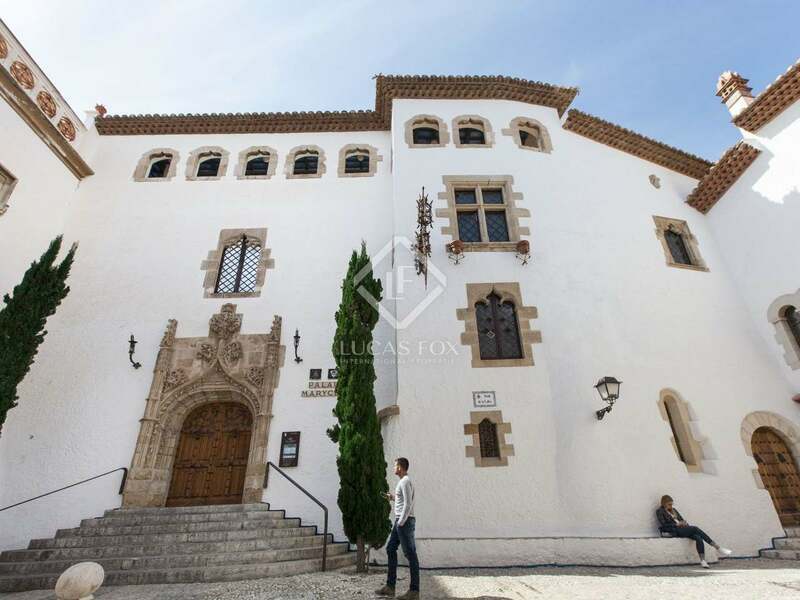 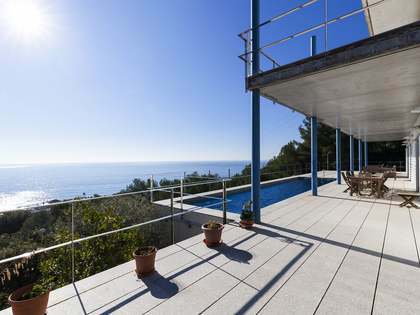 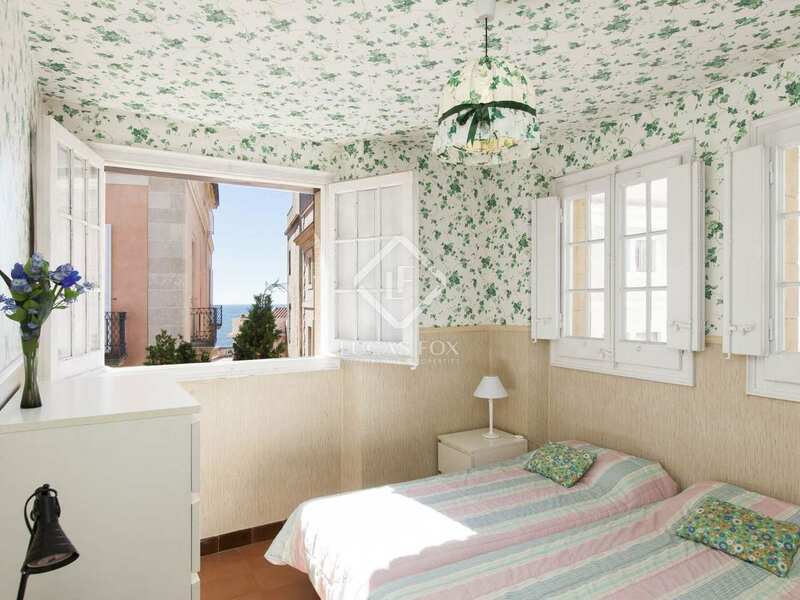 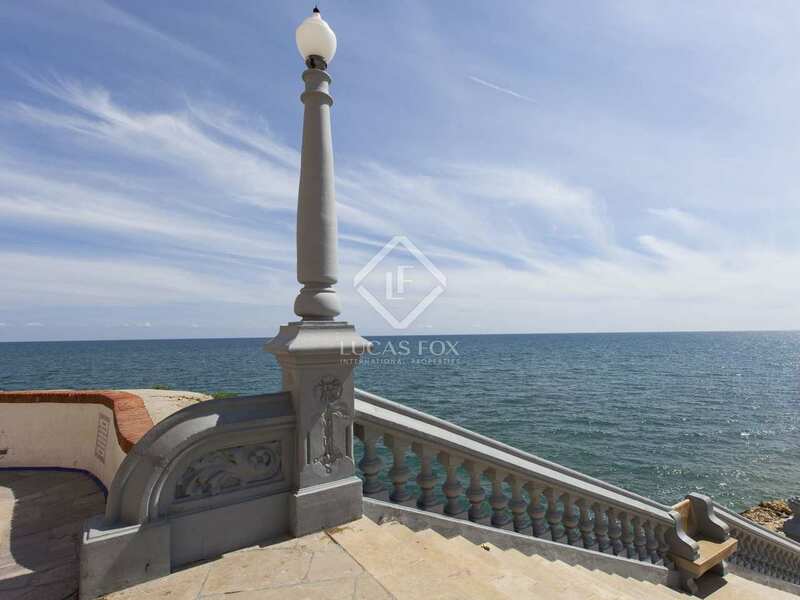 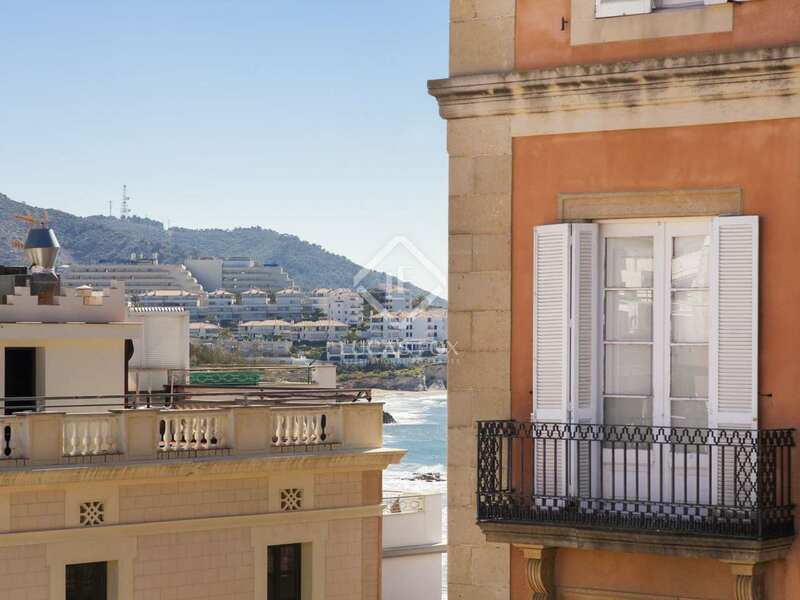 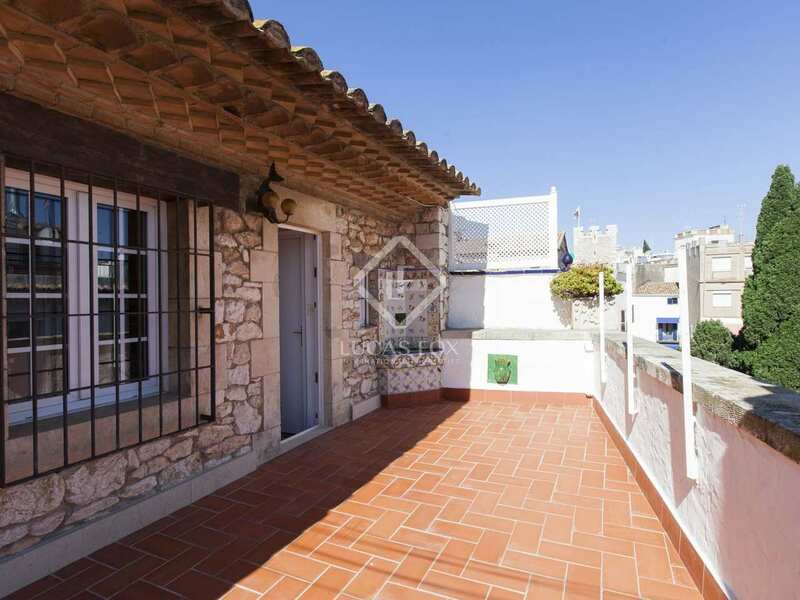 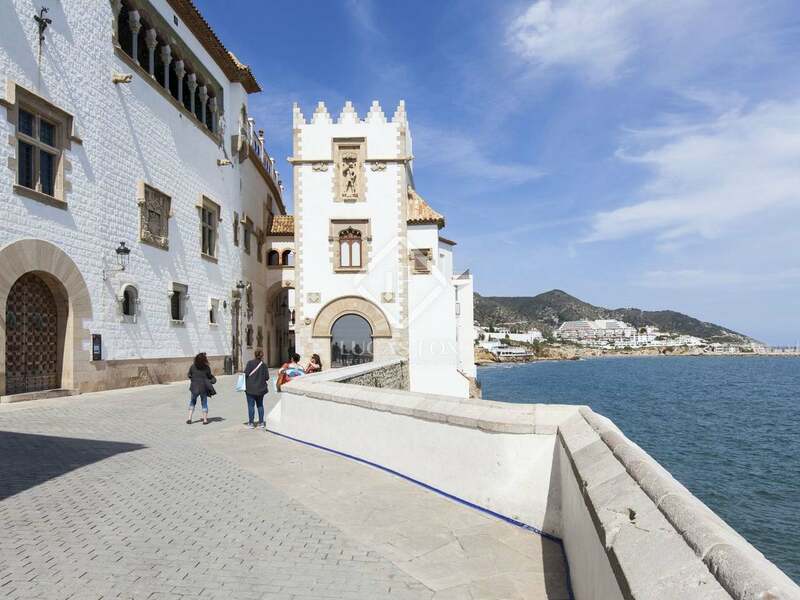 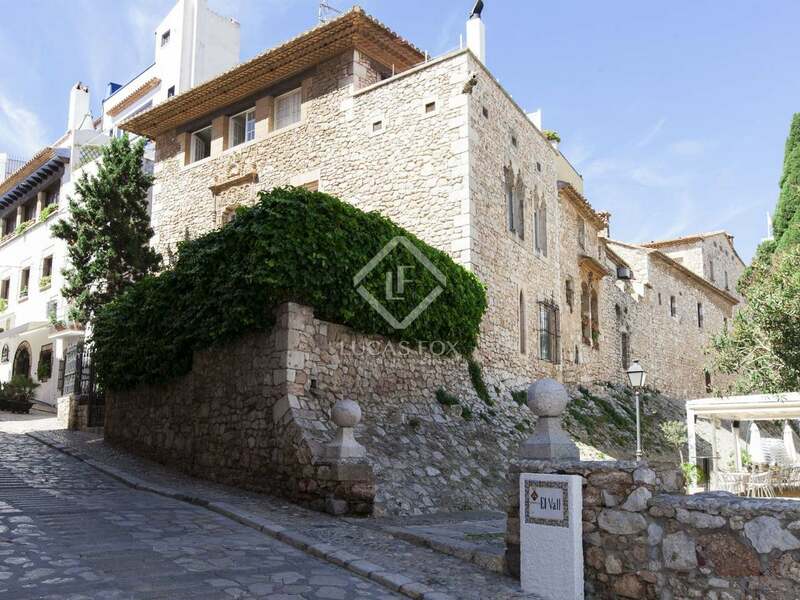 It would suit anybody looking to be right in the centre of Sitges, next to the beach and someone that appreciates period properties and the historic surroundings. 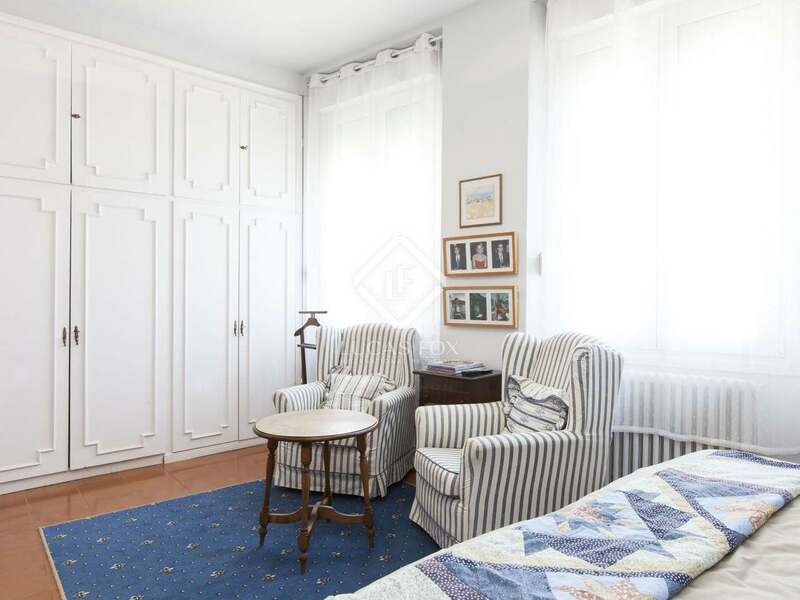 This property is located in the old centre next to the church and museums with their pretty cobbled streets and just a couple of metres from the beach.